In the last issue I promised exercises to help you tone your metaphorical muscles. Here they are. Of course, simply reading them will only give you understanding. Doing them is the point. You don’t build muscle by reading about exercise. Now jumble them up into different combinations (for example, smoky eyebrows) and write a sentence or short paragraph for each one. The point of the exercise is to see what overtones (linking ideas, metaphors) are released by this blind striking of notes. Wonderful accidents happen frequently. If you don’t already have a writers’ group, these exercises might be a good reason to start one. Just get some people together (even numbers are best) and start making arbitrary lists. Put your lists together and see what your combinations suggest. One thing becomes clear right away: you get better results combining nouns and verbs than from combining adjectives and nouns. Verbs are the power amplifiers of language. They drive it; set it in motion. 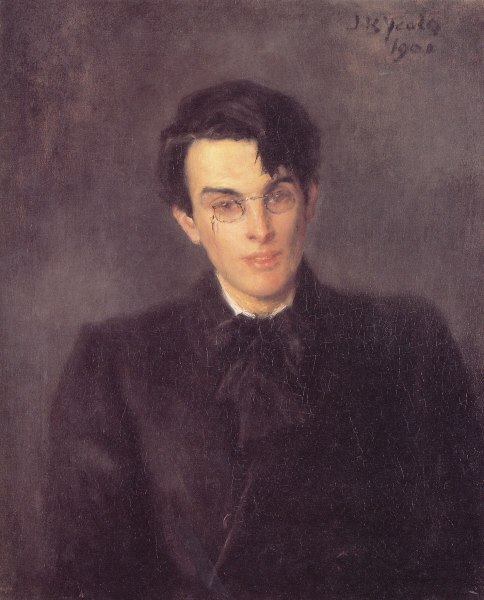 Look at any of the great poets — e.g., Yeats, Frost, Sexton, Eliot. If you actually go through some poems and circle their verbs, you will see why the poems crackle with power. Great writers know where to look. They pay attention to their verbs. Summer is the Rolls-Royce of the seasons. Winter is gone. Time for another ride in the Rolls-Royce of summer. Once again, summer’s Rolls-Royce has collapsed into the iceboat of winter. Your turn again. Use whatever form of expressed identity seems to work best. Write a sentence or short paragraph for the other four. After you have spent a few sessions discovering accidental metaphors through the previous exercises, you’ll be ready for the final method to activate the process: a five-step exercise guaranteed to open your metaphorical eyes and keep them open. Step One: Make a list of five interesting adjectives. Then, for each one, find an interesting noun that creates a fresh, exciting metaphor. Take as long as you need for each adjective — hours, even days. Keep it in your vision. Push it against every noun you see until you create a breathtaking collision. Be patient. Developing a habit of looking takes time. It is the quality of your metaphors and the accumulated hours of practice that count here, not speed. Remember that you can make vivid adjectives out of verbs: to wrinkle becomes the adjective wrinkled (wrinkled water) or wrinkling (the wrinkling hours.) These are called participles. Remember? Step Two: Now make a list of five interesting nouns, and locate a terrific verb for each one. This will be harder, since you’re used to looking at things in the world, not actions. Again, take your time. Develop a habit of mind that can see a doe stepping through the shallows as the water wrinkles into circles around her. Step Three: Make a list of five interesting verbs and track down a noun for each one. Most likely, you’ve never looked at the world from this angle before. You’ll find it unnatural, challenging and fun. Step Five: Make a list of five interesting nouns and find another noun for each one. Use whatever form of expressed identity you think works best. 1. What characteristics does this idea have? 2. What else has those characteristics? Then watch ideas tumble out onto your page.